I explained last week that I was motivated to read Andre Agassi’s Open: An Autobiography on my Chicago trip two weeks ago because I didn’t want to take a physical book on the plane with me (which is to say, The Crowded Grave or Don’t Let’s Go to the Dogs Tonight, the two books I was intending to read next), so I grabbed my Kindle and turned to Agassi’s book, which I had downloaded and begun almost two years ago. On the flight to O’Hare and the return the next day, I devoured it. 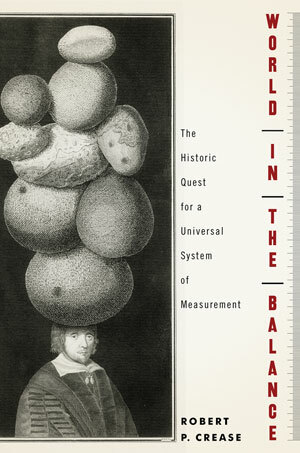 sweeping survey of the history of measurement and the search for universal and absolute standards, from ancient China up to practically yesterday. Before leaving for Chicago, I remembered Snyder’s review and downloaded World in the Balance so I would have another book ready on the Kindle in case I finished Open. Sure enough, on the return flight, I was ready for another book and began to read it as we began our descent into Seattle, continuing the next night. I got some ways into ancient China when the two books waiting for me at home, The Crowded Grave and Don’t Let’s Go to the Dogs Tonight, beckoned and I put it aside. They’re done now. In the meantime, two more books have jumped the queue. I’ll return to measurements soon enough, at which point I expect I’ll have more to say.